I thought that this might be a simple cake with a little extra 'bling'. The recipient doesn't like buttercream, but adores chocolate. This is a basic chocolate sponge with ganache filling and crumb coat. I finished it earlier than I anticipated. As the recipient is also the kind of person who prefers a 'tiny statement' and less fuss, I had to make the cake to reflect the same. 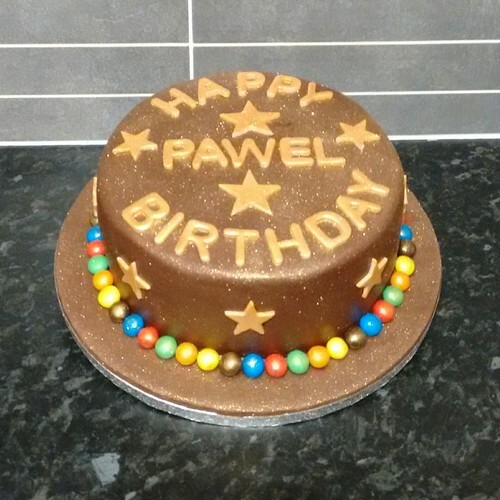 So, with two layers of chocolate sponge sandwiched together with ganache and then covered, again, with ganache I had to make it look a little special at least - after all, it's for a special person. 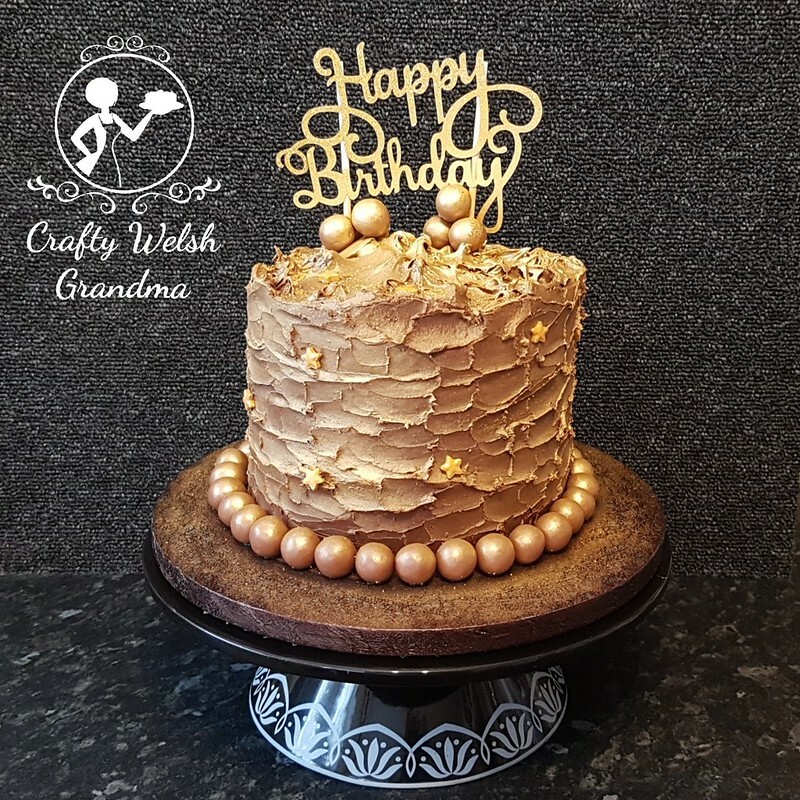 I used Renshaws chocolate flavoured (and colour) fondant to cover the cake and the board, I 'painted' the letters in gold with a sprinkle of gold lustre dust. The extra stars were the same. 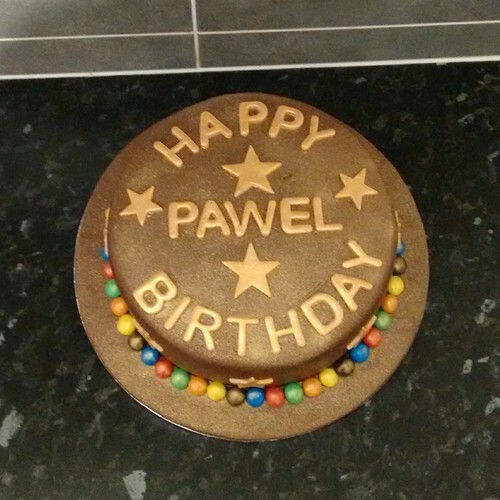 Both letters and stars were made from fondant that was lighter in shade. It needed a little 'something'! So I glued (edible glue) M&M's all around the join where the cake meets the board. I think, whilst less is more, this is a wonderful contrast! To finish the whole thing off, I sprinkled the whole cake with the same gold lustre dust after I had given the M&M's a light dusting with gold edible paint. I've just realised! My letters are a tad out of line. But hey, it still looks good I think.